Automation | R.J. Kates Co.
R.J. Kates is an authorized service representative for many of the most prominent CNC Automation manufacturers. Experienced in CNC Automation equipment and processes for plasma and oxy-fuel cutting, we can help you with CNC cutting projects. Let us advise you on improving cutting accuracy and efficiency with CNC Automation. 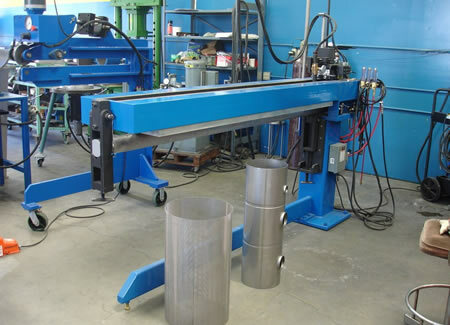 R.J. Kates has managed a variety of CNC Automation projects, both Robotics (moving the welding tip) and Fixed Automation (moving the piece or part). Ask us about your CNC Automation welding processes, we can help you with preventive maintenance, repair, retro-fit, and sales of consumables and new equipment. 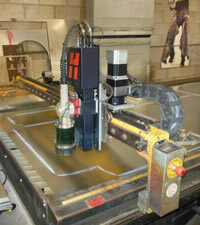 See some of our CNC welding projects. R.J. Kates offers factory trained and authorized repair, maintenance, warranty; and complete retrofit to most major brands of CNC Plasma and Oxy-Fuel cutting machines. 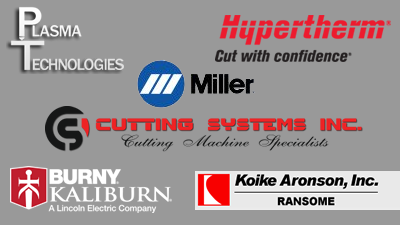 The major brands are from manufacturers such as Burny and Kaliburn – Lincoln Electric Companies, Cutting Systems, Inc., Hypertherm, Koike Aronson, Inc., Miller and Plasma Technologies. In addition, R.J. Kates services, repairs, builds, and re-builds all types of welding automation including fixed automation and robotics throughout Southern California. For a review of some of the successful CNC Automation projects that R.J. Kates has completed check out this site’s CNC Cutting and CNC Welding pages.